The jury may be out for a while on the newly anticipated release of the very talked about movie Jinn. The central focus of the movie is about a young man whose family has been cursed by evil spirits, jinn as they are known in Arabic myths and Quranic tales, for generations. But both in the PR of the film and the discussions by critics, a central component to the movie has to do with Islam—and it may not be in the way most people are accustomed to in Hollywood feature stories. 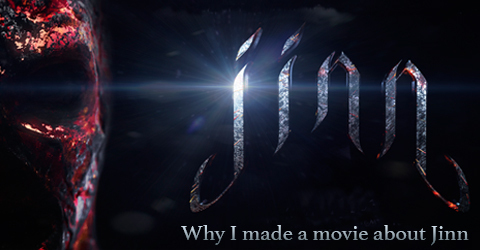 In our TIM interview with the director of Jinn, Ajmal Zaheer Ahmad points out that he meticulously designed the movie to be one form of telling the Muslim story. But instead of the typical pandering to Hollywood’s desires to peg Muslims as terrorists, he subtly weaves opportunities for a shared interfaith commonality through, you may be surprised to know, the use of ghosts. “The idea of why we made it was to create the opportunity to make a movie that’s for mainstream, that deals with mythology, history, religion, family, culture, stories and traditions but that also comes from our background,” explains Ahmad. Ahmad relies on a concept shared between Christianity, Judaism and Islam, of God creating a man of clay, angels of light and jinn of fire, for a film that will expose shared bonds and common understandings. And in the promotion of the film, his PR team appealed to Muslim groups urging them to support the film because of it’s unique, different, and he argues, positive, way of depicting Muslims. But Ahmad’s underlying theme of highlighting similarities between Christianity, Judaism and Islam raised questions among some who feel that this goal is farfetched. “The symbolic animations of the crescent moon, the star of David and the crucifix linking up was also a good touch” explains philasify. “After that, the Jinn trailer becomes ridiculous and falls off the edge of the earth.” Could it be that finding a balance between telling a legitimate story about such a broad aspect of religion was too hopeful? Nonetheless, Ahmad’s film comes at a heels of the still talked about ABC pilot that was announced the quickly canceled in response to negative social media reactions, Alice in Arabia, where a young American girl is kidnapped by her extended Saudi family and forced to live in Saudi Arabia, navigating her way through living in a Muslim society while wearing the headscarf. The show, as countless of Muslims argued, simply replayed typical stereotypes of backward Muslims, violence, and oppression of women in Islam. But Ahmad argues that it is Muslims that must learn to give the world different angles, and for Ahmad, that is through a movie that has nothing at all to do with human terrorism but of the spooky supernatural theory of ghosts. Ahmad believes that by taking a uniquely different way of incorporating Islam on the big screens, he is creating a positive and very lasting ripple affect. “If you can prove that you are a group of people that will stand up and mobilize and have money –well then guess what, the next movie that comes out won’t have a Muslim terrorist in it. 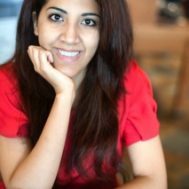 It will be a brown hero in it just like our movie and it might be a million dollar movie because if we’re not making it someone else will…We want to tell the community that this is their chance and that if they pass it up they can’t complain that no one is making content for them,” explains Ahmad. “This is the time that one of your own decided to take a risk and do something big. So, when you go out in numbers it’ll only benefit you in the future and it could change that future for us as community. And perhaps, one day, the success of Jinn will bring with it films that will star heroes that we can relate to and that represent American Muslims in a positive light. For now, we will have to see if viewers respond in the way Ahmad hopes.